Product Junkie Diva: NOTW, On the big screen and the iPhone? NOTW, On the big screen and the iPhone? 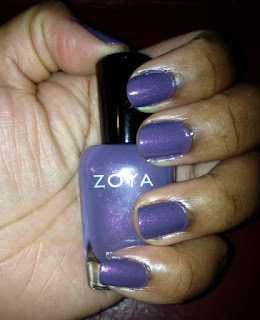 I am wearing "Lotus", a sparkly purplish color from Zoya. Although this color has a sparkle to it, it does not include that hard to remove glitter. This polish comes off as easily as any other polish even though it apparently has some very fine glittery specs. I have an IPhone And won't be making an upgrade. I don't need the new features enough to pay the extra.-- I had nt heard about this movie. It looks awesome. Thanks for this clip. Will be checking it out. And it opens on my birthday.